India, the second most populous country with 1.34 billion people, will soon begin a census operation which will for the first time include a count of the backward classes. Home Minister Rajnath Singh discussed with officials the roadmap for the 16th decennial count, one of the largest administrative exercises, which will involve 25 lakh enumerators and deployment of a new tool-georeferencing – which makes it possible to locate by physical place, an official statement said. The last census of 2010 counted the population at 1.21 billion, which was made public as a provisional data in 2011. The 2021 exercise, the largest single source of a variety of statistical information on different characteristics of the people of India, will use improved technological intervention to ensure that the whole data is finalized within three years, the statement said. The inclusion of OBC count in the census assumes significance against the backdrop of constant clamour for a share in the pie of reservation and the lack of authentic data about various castes and subcastes. The Mandal Commission had put the OBC at 52 per cent of the population. Nearly 25 lakh enumerators have been trained and engaged for the gigantic exercise, the statement said. It was in 1872 the first census was conducted in India non-synchronously in different parts. The meeting reviewed the functioning of the office of Registrar General and Census Commissioner in which Minister of State for Home Kiren Rijiju, Home Secretary Rajiv Gauba and Registrar General of India Sailesh participated. 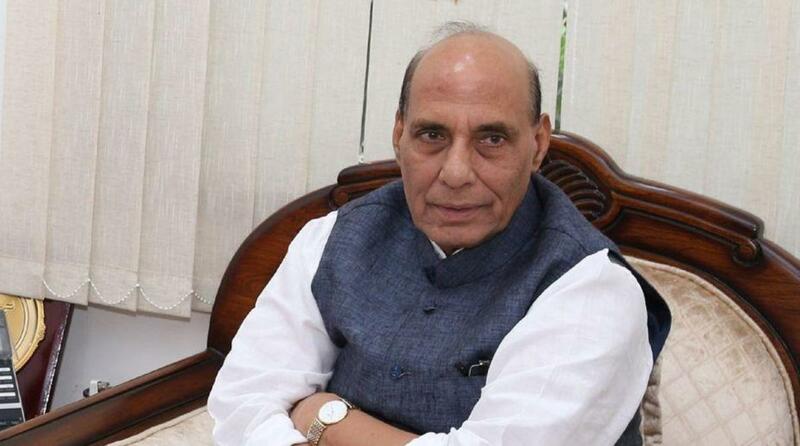 “Rajnath Singh discussed the roadmap for undertaking the Census in 2021. It was envisaged to collect data on OBC for the first time. Use of maps, georeferencing at the time of house listing is also under consideration,” said the statement. It was emphasised that improvements in design and technological interventions be made to ensure that the Census data was finalized within three years after the Census operation, said the statement. At present, it takes seven to eight years to release the complete data. For the latest exercise, Rajnath Singh emphasised the need of improvement in civil registration system, especially on registration of births and deaths in remote areas, and strengthening sample registration system for estimating the data like Infant Mortality Rate, Maternal Mortality Ratio and Fertility Rates. The last Census was conducted under the UPA regime in 2011 in two phases – House Listing and Housing Census (April to September 2010) and Population Enumeration (February 9 to 28 in 2011). Reports released on March 31, 2011 revealed that the Indian population increased to 1.21 billion with a decadal growth of 17.64 per cent. The responsibility of conducting the decennial Census, a statutory exercise conducted under the provisions of the Census Act 1945, rests with the Office of the Registrar General and Census Commissioner of India under the Home Ministry.